Recipe base from The Hummingbird Bakery Book. One of the things that I really appreciate about living in Sweden, is the having the option to pick your own fruit in the beautiful forests. 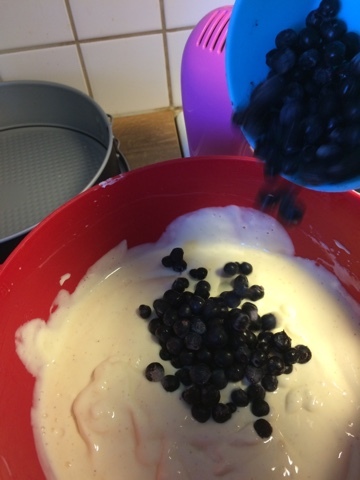 I have determinedly partaking in this activity since I moved here, and whilst I am not as skilled as others at picking a huge quantity, I am nevertheless always excited to have enough to do something with other than through a bunch into yoghurt. 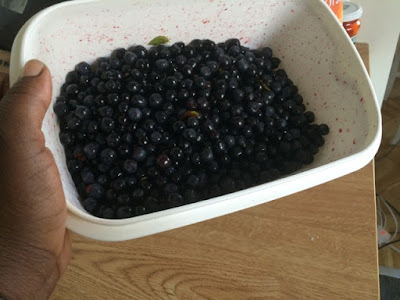 Swedish blueberries are so beautiful: unlike the American varieties (that I believe are not technically blueberries, but a relative of them), they have as dark purple flesh as their skin. 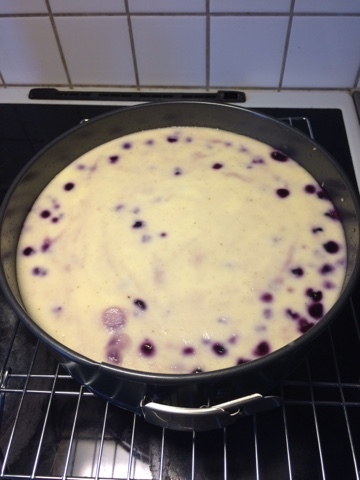 Having been disappointed with my Blueberry Cake, I was reluctant to make another with my handpicked fruit, so went with a recipe base that I felt was more reliable: cheesecake. 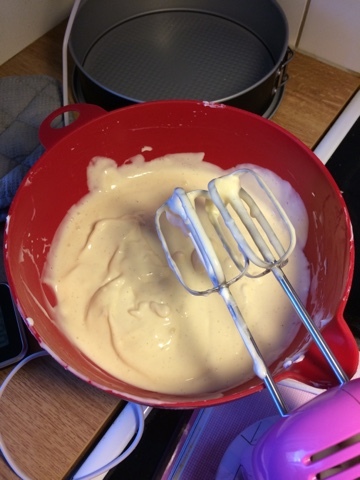 The base cheesecake mixture was beautiful, and I must be sounding like a broken record where cheesecakes are concerned, as this was another mixture that I truly felt sad about baking. I had washed and frozen my blueberries on the day they were picked, and found that the water on them made them clump together slightly. Nothing too dramatic, but after a conversation with a colleague, I tried washing then air-drying the fruit overnight before freezing and this made a much 'looser' and easier-to-manipulate batch. I appreciate that the appearance is aesthetically pleasing as when you have the fruit and its sauce over the top, however I have never truly appreciated that style in terms of taste. Then again, I have only had shop bought versions, and I like very few mass-produced cheesecakes.